A home is one of the largest purchases most people will ever make, and a commitment of that magnitude can feel overwhelming. What if you decide after the transaction has closed that the house you picked isn’t right for you after all, and you’ve made a horrible mistake? Not to worry! Even though all homebuyers have different needs and wants, we can help anyone identify what to look for when buying a home. 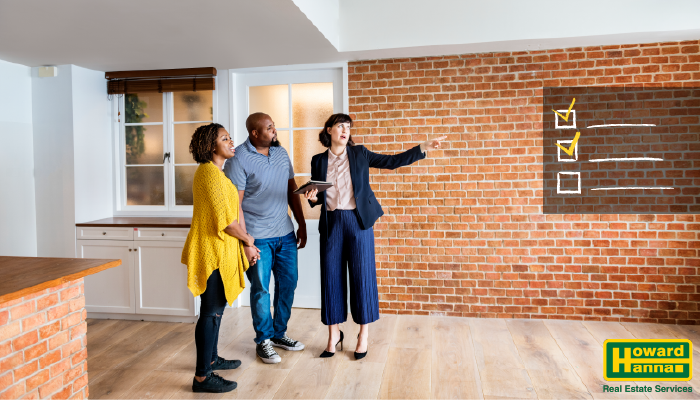 The best way to ensure that you’ll still love the current home of your dreams months or even years from now is to have a solid plan in place when you begin your home search. Specifically, you need to take some time to think about how long you plan to own the home, and what kind of life you see yourself living while you are there. It sounds simple, but you’d be surprised how many buyers start the process without having considered these questions. By choosing a home whose attributes are well-aligned with your plans and goals, you can ensure that it will remain the perfect place for you to live well into the future. How long do you plan to live there? This is the most important question, because its answer will affect the answers to all of the other ones. How many people will be living there with you? If the you-of-the-future is in a relationship, you will need a home with enough room for that significant other. Children may also be a consideration, or older relatives who might move in with you during their later years. How far away are the places you will be going? Nobody likes a long commute to work. Easy access to other places you visit regularly, like shops or the homes of family members, will also greatly simplify your life. How well does the home fit your preferred lifestyle? If you have a bad knee, you probably don’t want to spend the next twenty years unnecessarily climbing extra flights of stairs, and if you hate yard work, you might prefer a condominium unit or a maintenance-free community. Once you know how you feel about these kinds of basic questions, you can focus your home search and identify homes that you’ll love even more ten or twenty years from now than you do today. Visit HowardHanna.com for more information on the best listings in your area, as well as information on our exclusive “My First Home” program.